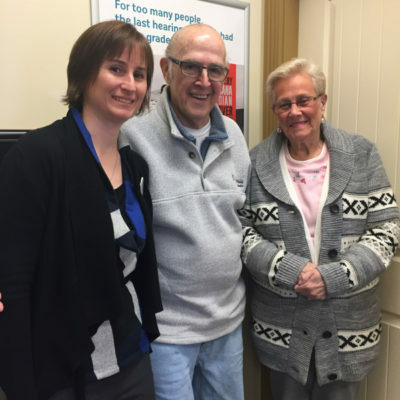 For the first time in Campaign for Better Hearing history, a couple was awarded hearing aids through the campaign’s Give-back program which gives hearing aids to those who need them. Mr. and Mrs. Quirk were nominated by Lana Cuddeford, Hearing Aid Practitioner at HearingLife Canada in Nanaimo, BC. The hardest part of having hearing loss for Ken and Arlene was their difficulty communicating. “We are a very independent couple and we don’t like to ask people to repeat themselves. It’s embarrassing and people think you aren’t paying attention,” says Ken. 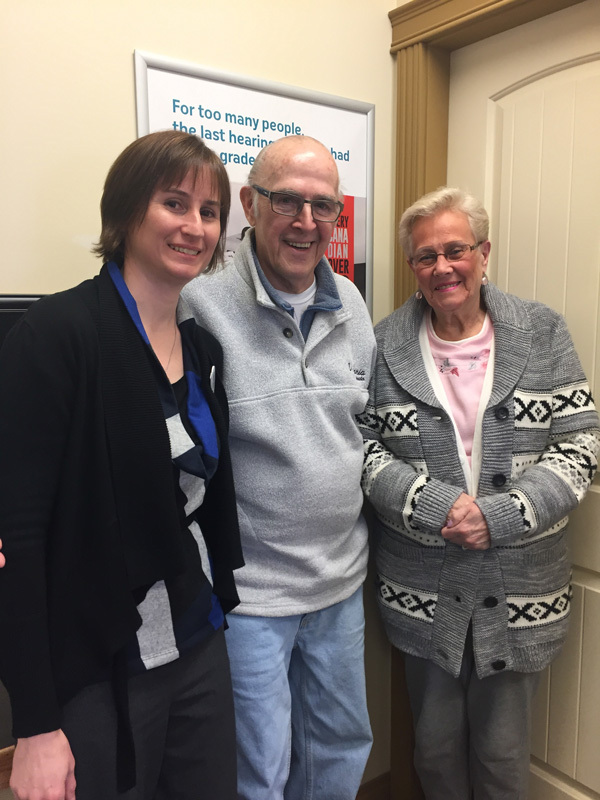 With their brand new hearing aids, Ken and Arlene looked forward to the benefits of being able to hear clearly again. Not only will these hearing aids help Ken and Arlene communicate within their relationship, they can also reconnect with their other loved ones. For those sitting on the fence about purchasing hearing aids, Arlene urges them to get a hearing test and to take advantage of trial hearing aids if recommended. “Get tested. Hearing tests and hearing aid trials can provide a lot of answers,” says Arlene. For every hearing test taken with the sponsors of the Campaign for Better Hearing, $4.00 are donated for the purchase of much needed hearing aids. The hearing test is free at all sponsor locations, and the hearing test itself takes a short time out of your day. Take control of your hearing health and get your hearing tested!